It started with a degree of scepticism on both sides but persistence paid off, eventually leading to the historic occasion that will unfold in Pearse Stadium next Sunday when Galway host their first Leinster hurling championship game. It will also be the first provincial hurling game (excluding Connacht) in Galway since June 1965, when they lost to Clare by a point in Pearse Stadium during their disastrous decade in the Munster Championship where they recorded only one win. A crowd of around 20,000 is expected on Sunday when Micheál Donoghue will lead the All-Ireland champions into action against Brian Cody's revitalised Kilkenny, who won the Allianz League title last month. It comes nine years after Galway joined the Leinster Championship for the first time. Leinster counties steadfastly refused to cross the Shannon to play Galway in the intervening years, but were left with no choice but to end the boycott, following the revamp last September of the provincial championships, which guarantees all teams two home games (subject to having a suitable ground). The luck of the draw decided that Kilkenny should be first to go west for what promises to be a blockbuster occasion. "You couldn't have better opposition coming to Pearse Stadium than Kilkenny. "I'm sure they will bring a big crowd and, of course, it's also a chance for Galway supporters to get behind the team at home for the first time (in the Leinster Championship). We want a real Galway roar on Sunday," said county board chairman Pat Kearney. "The occasion brings a bit of extra pressure on the Galway players but I'm sure they will be ready for it," he said. Galway played all their Leinster games in Tullamore, Nowlan Park, Portlaoise, Mullingar and Croke Park over the last nine years and are now looking forward to what will be their first 'home' championship outing since beating Clare in the 2011 All-Ireland qualifiers. Former GAA president Nickey Brennan played a major role in getting Galway into Leinster and later campaigned for them to have home games, a process that proved more difficult that was originally anticipated. "I always thought that it made sense for Galway and Leinster to come together. It wasn't the easiest of sells at the start but it happened eventually. It's right that the day has come when Leinster teams are going to Galway, rather than Galway coming the other way all the time. As a Kilkenny man, I'm glad we're the first to go there. "Galway U-21s are also playing in Leinster and, to be honest, I would like to see the minors there too to complete the picture," said Brennan. Galway U-21s play Offaly in the Leinster quarter-final on June 13, with the winners facing Kilkenny a week later. Brennan drove the senior merger during his term as Leinster Council chairman and while there was opposition on both sides for quite some time, the apparent logic of the proposition eventually won through. "I talked to a lot of Galway hurlers over several years and they were all keen to join Leinster. "Up to then, they were out on a limb, waiting for the other provinces to get on with their championships. It wasn't fair on them and it wasn't good for hurling. We have few enough counties playing at the very highest level so the least we needed was to give them all the same chance in the championship," said Brennan. Historical aspects aside, it's a massive game, even if both sides are well-fancied to finish in Leinster's top three, thus guaranteeing a place in the All-Ireland championship. The psychological dimension is even more intriguing as Galway attempt to escape from under Kilkenny's giant thumb. The Tribesmen have won only one - the 2012 Leinster final - of their last 12 championship clashes with Kilkenny since 2005. They have also drawn twice, but lost the replays, leaving the balance of power tilting very much in a black-and-amber direction. 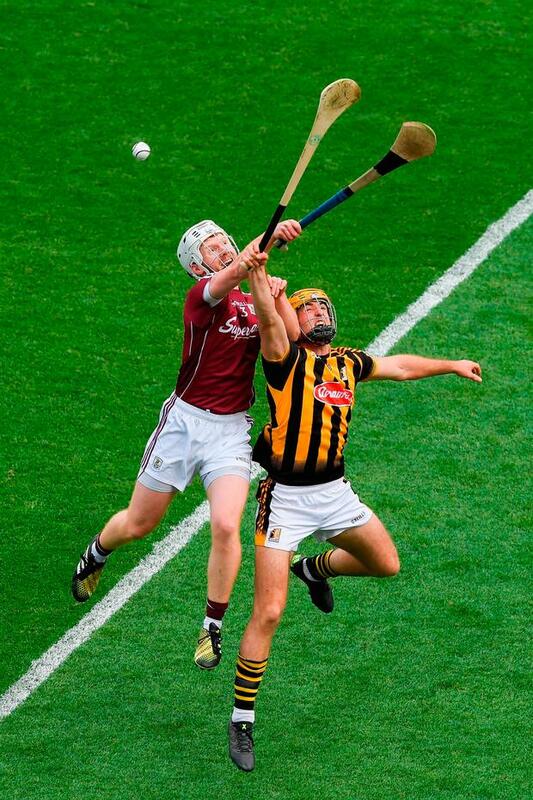 Despite that, Galway are 8/15 to beat Kilkenny (15/8), odds which are clearly based on last year's championship as opposed to this season's form. Galway have yet to really sparkle this year, failing to escape from Division 1B and later losing to Wexford in the league quarter-final. Kilkenny, meanwhile, recovered from a bad start to build up an impressive momentum, which powered to them to title success, beating Tipperary in the final. They have since beaten Dublin and Offaly in the Leinster round robin so a win on Sunday would probably clinch a place in the final. This will be Galway's second round robin game, having beaten Offaly easily in the first round.